When you need an expert at troubleshooting. 1. The first place to start checking out the electrical components of your air conditioning system is by checking out the furnace first. Many problems start at the furnace and migrate to the outside air conditioner. This is an example of an improperly installed high voltage wire serving the furnace. The wire nuts are exposed, under stress and will eventually come off causing a short circuit or electrical fire. This can be found during our special $39 air conditioning tune up and full system evaluation. The coupon can be accessed above. 2. The modern furnace blower motor serving your furnace and air conditioning system is no where near as plain and simple as blowers on older electricaly wasteful equipment. The picture here is a typical variable speed blower motor. 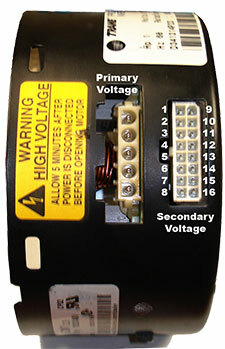 Older motors had from 2 to 5 wires to control their speeds. Look at how connections there are now. 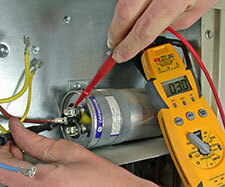 The more electrical connections their are the more careful we need to be to ensure that they are correctly attached. Since we regular send our air conditioning service technicians to factory training classes you will only recieve the highest quality service on your air conditioning. 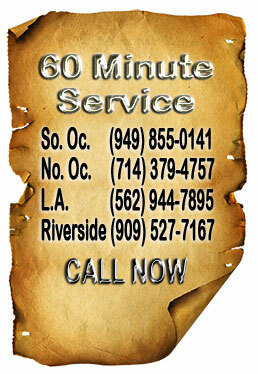 This can be found during our special $39 air conditioning tune up and full system evaluation. The coupon can be accessed above. 3. 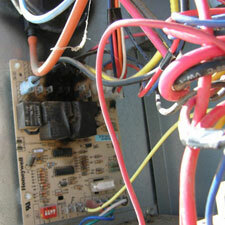 We check out every circuit board that your air conditioner has. The picture of the circuit board here is an example of what happens when a relay becomes overheated. This circuit board was not the problem. The problem was a short circuit in a valve that overheated this circuit board. 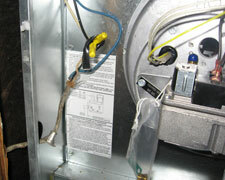 This can be found and repaired during our special $39 air conditioning tune up and full system evaluation. The coupon can be accessed above. 4. Home air conditioners conatin capacitors to help the motors start under low voltage situations and to tell the motors which direction to turn. 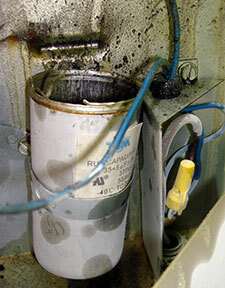 The capacitor is something that needs to be tested every year, if not, a fire can result. These are simple to test and are inculed in our $39 full system evlauaiton and air conditioner tune up. See the coupons at the top of the page for more information. 5. The electrical contactor in the outdoor air conditioner takes the full brunt of the electrical load. It is the most comon part that needs to be changed out on a regular basis. It is rarely the reason for an air conditioner to stop running, but failure to properly monitor it's condition can lead to other electrical parts in the air conditioner to fail prematurely. 6. 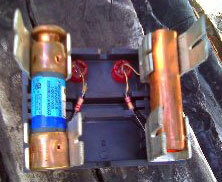 A common way to avoid repalcing air conditioner fuses is to use a piece of copper tubing as in the picture shown here. 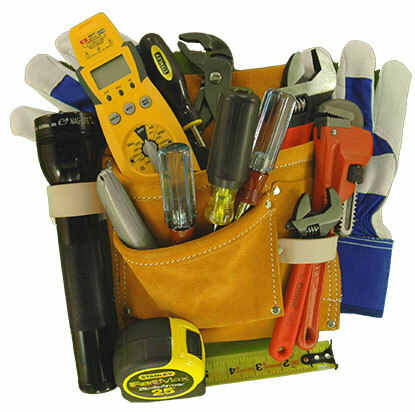 It is perhaps the most dangerous thing a homeowner or handyman can do. This is a situation that can really cause a fire. There is no over current protection when this ie performed. We can catch problems like this and correct them when we are perform your full air conditioner maintenace and A/C tune up. Just click on the coupons on the upper right hand portion of this website to learnmore. …polite, professional at all times, hard working, fast, efficient, talked to us so that we understood each and every step. The guys should be commended for their appropriate attire, personable demeanor, friendliness, knowledge of the job at hand, good working skills, ability to work together, and over-all good customer relations. We would like to commend your company on the workmen that you employ. The quality and professionalism of each of them impressed us very much. We check out more than 45 critical areas during our whole system evaluation and tune up. All that for only $77. Give us a call. We are here to help you!